He pointed out that the signatories were from the six major political groups in the European Parliament and represented 27 EU Member States. They include 4 Vice-Presidents of the European Parliament and 14 Committee and Delegation Chairs. Gérard Deprez recalled that the signatories have expressed concerns for deteriorating situation of human rights and repression of women in Iran. Gérard Deprez cited: “France has officially sanctioned Iran’s Ministry of Intelligence and accused it of being behind the bomb plot targeting the opposition NCRI’s Free Iran gathering in Paris on 30 June 2018, and last month, Denmark recalled its ambassador from Iran over a foiled assassination plot targeting Iranian dissidents living in Denmark,” he added. 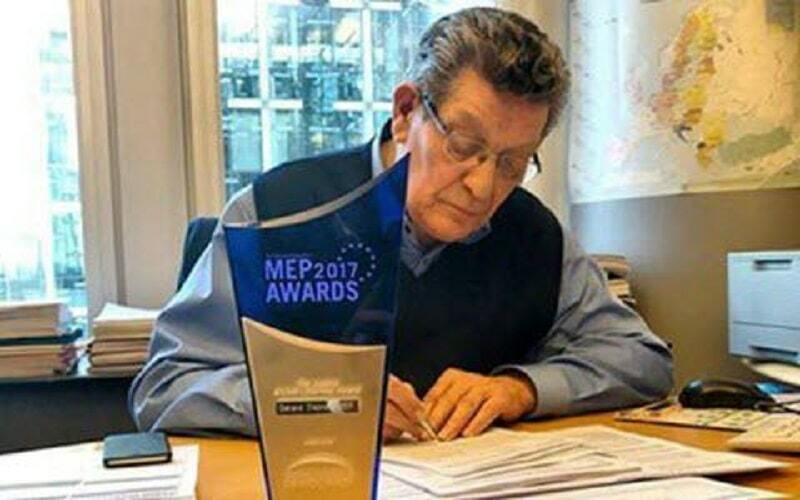 “They also urged Albanian government which is hosting several thousand Iranian opposition refugees “not to permit Iranian agents on its territory” after an Iranian bomb plot was foiled near Tirana earlier this year,” Gérard Deprez, chair of Friends of a Free Iran – an informal intergroup with a large following in the European Parliament, stipulated. The embassies of religious fascism are the center of espionage and terror plots. They should be closed. The Iranian people are demanding democratic change by their organized opposition movement. Iran’s terrorist diplomat did arrest for a terrorist plot against Iranian dissidents. He should face trial in the public.